Volunteer Ambassadors are needed to support Special Olympics Florida during the 2019 Special Olympics Florida State Summer Games at Walt Disney World Resort. Volunteer Ambassador registration is now open. Volunteer Ambassadors are needed to support Special Olympics Florida during the 2019 Special Olympics Florida State Summer Games at Walt Disney World® Resort. 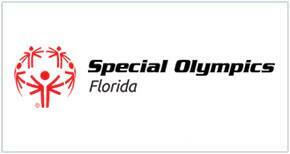 Volunteer Ambassador opportunities for the 2019 Special Olympics Florida State Summer Games will be scheduled on a first-come, first-served basis. Schedules are always subject to change due to event needs.